Buffalo Steel launch party: success! 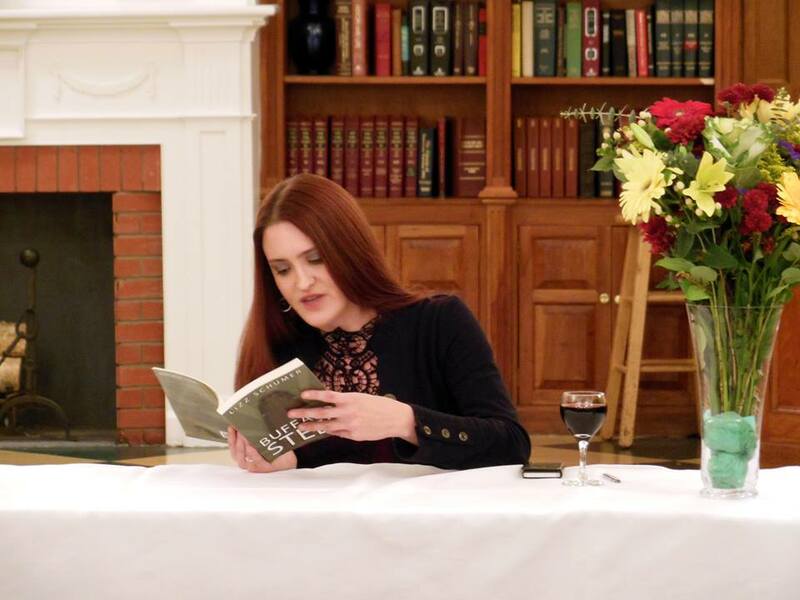 This week, I held an official launch party and signing for “Buffalo Steel.” The Buffalo Irish Center graciously hosted me, about 100 of my closest family, friends and guys who wandered in from the bar or another meeting upstairs. It was a lovely evening, and I’m deeply thankful to everyone who was able to join me to celebrate. The Buffalo Irish Center has played a huge part not only in this book, but in my personal narrative, as well. When I was a kid, my dad started playing with a band called “The Leftovers.” Well, that’s not entirely true. He and my next-door neighbor started the band to cover St. Patrick’s Day at the pub around the corner, because the band that was supposed to play that evening canceled. My dad plays bass and the neighbor played guitar and both can sing a little, so they gathered up a friend and took the stage wearing homemade t-shirts. They called themselves “The Leftovers” because, well, everyone else had a band already, and they were the ragtag group left over. Story goes (and we know how stories can go), they had several offers to play at other gigs by the end of the night. Be that as it may, the band is still going strong, more than a decade and a few handfuls of CDs later. My dad bowed out because of other commitments a couple of years ago, but we’re all still close friends with the band members and see them play regularly. The Buffalo Irish Center has been a frequent host of The Leftovers and by association, my family and I, almost since I can remember. It’s the kind of place that serves Guinness poured the right way (slowly, and don’t you dare drink until it’s settled), where the same people have gathered around the bar for generations and where, if the Irish national anthem is played, you bloody well better stand and take off your hat, or someone’s going to take it off for you. There’s a regular circulation of Irish bands that play the Center (as it’s called), but my favorite is always The Leftovers, and not just because I know every word to every song, or because I know their names and they know mine. Because I grew up with their music, in that place, and it feels like home in ways that are more spiritual than geographic. The Center is the kind of place that welcomes you in, whether you’ve been going there for a day or a decade. Maybe I only feel that way because I have, but it’s a cozy place for me, and a place I feel I grew up, in one way or another, from Shirley Temples to pints of my own. So it was the perfect place from which to officially send “Buffalo Steel” out into the world, and I’m glad so many people were able to come help me do so. It felt right to sit there, surrounded by books, surrounded by love, and release something that was a labor of the same. Next Let’s talk packaging: what’s your cover?